Cigarette plain packaging – will it work? This article first appeared in the March 2012 issue of Marketing magazine. On the eve of a global watershed in tobacco’s history, Marketing magazine takes a look at what led to the plain packaging theory, and asks global experts… Will it work? Both functional and aesthetic, packaging plays a critical role in communicating what a brand is all about and attracting shoppers at the moment of truth. In that split second when a shopper takes pause, packaging has the chance to sway decisions and outshine competing brands. It screams ‘pick me’, in a precisely calculated elevator pitch that hooks into its target’s hopes, wants and needs. So when the Federal Government tabled plans to introduce mandatory plain packaging for cigarettes in Australia, it wasn’t long before tobacco companies launched counteraction. Their marketing efforts stifled by countless other regulations, packaging is one of the last means left through which they can communicate. Barring a successful High Court challenge, generic olive-green packaging plastered with graphic health warnings is set to hit shelves in December this year. Tobacco industry logos, imagery, colours and promotional text will be banned on packaging for cigarettes and other tobacco products, disarming them at the point of sale. Since it was announced in 2010, the Tobacco Plain Packaging Act has faced fierce opposition from tobacco companies. Extensive lobbying remains ongoing and implementation of the new laws is far from assured. In April, British American Tobacco Australia (BATA), Philip Morris Asia (PMA), Japan Tobacco International (JTI) and Imperial Tobacco Australia (ITA) will take their case to the High Court, arguing that plain packaging laws are unconstitutional and a violation of intellectual property rights. But another side to the debate rages – a debate around how effective the initiative will actually be in reducing smoking. The act of lighting up is a phenomenon with its claws still latched on to many Australians. In spite of the restrictions imposed on smokers and the tobacco trade, one in five people still smoke. It may be a pastime in decline – smoking rates have decreased by 40 percent since 1980 – but it remains the single largest preventable cause of death and disease in the country. While the Government is certain plain packaging will work, and tobacco companies are adamant it won’t, experts are divided as to what impact it will actually have. The tobacco category is one dictated by a number of unique factors, factors that make the impact of the change hard to predict. Part of the rationale behind plain packaging is nipping the habit in the bud, by removing marketing messages that potentially stimulate trial. Many contend, however, that this will have a reverse effect, sending smoking’s image further underground and thereby creating greater allure for rebellious teens – the group upon which the future of the habit rests. Since the anti-smoking movement began, the image of smoking has gone from glamorous to insidious. Advertising featuring presidents, movie stars and doctors has given way to graphic imagery of dissected arteries and sponges full of tar. The Benson and Hedges One Day Internationals and Marlboro Formula One cars are long gone as the Government tightens the screws on big tobacco’s marketing efforts. Legislation educating people on the dangers, protecting non-smokers from second-hand smoke and restricting the accessibility of tobacco first began to appear in earnest in the 1970s. Health warnings on cigarette packaging surfaced in 1973, and a ban of advertising on TV and radio followed soon after in 1976. In the 80s, the movement gathered steam with smoking banned on domestic flights in 1983 and print ads banned in 1987. The next big step came in 1992 with the passing of the Tobacco Advertising Prohibition Act, banning all forms of advertising apart from point of sale communications. 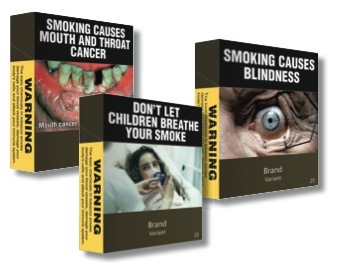 Standardised health warnings on packaging were introduced in 1995 and, since the turn of the century, point of sale advertising has been banned, licensing and retailing restrictions (including a ban on selling online) enforced, graphic health warnings introduced and smoking in many public places made a fineable offence. The Federal Government has also sought to discourage smoking by raising prices via an excise tax, the most effective tactic for reducing smoking rates according to the World Bank. Through the tax, which represents around half the cost of a standard pack of cigarettes, the Government rakes in $5 billion a year. With legal action pending against the Government, the contest over plain packaging is still very much alive. The big four – BATA, PMA, JTI and ITA – claim that the Government is attempting to acquire, without compensation, valuable intellectual property used to identify tobacco brands. Lobbying from big tobacco and the Alliance of Australian Retailers (AAR) has been built around the pressures plain packaging will impose on manufacturers, retailers and consumers. The impact of the change on small businesses, such as family-owned tobacco retailers, is being used in an attempt to rally the masses to the cause. It’s claimed that many will go out of business due to increases in costs and loss of sales to counterfeit product. Tobacconists cite significant confusion at the point of sale and inconvenience for both vendor and purchaser as serious issues. With tobacco products usually displayed out of reach, the transaction would become cumbersome without visual elements to facilitate brand recognition and sale. The AAR – a body funded by tobacco companies and formed specifically to fight the plans – also points out that plain packaging will increase stock taking times and product selection errors, and have an impact on customer service standards and local communities. According to a recent Deloitte Report commissioned by the body, the legislation could see more than a quarter of Australian consumers abandoning local corner stores in favour of large supermarket chains. But, above all, big tobacco questions plain packaging’s ability to nip the habit in the bud. On its lobbying website, Philip Morris International Management states that it “supports effective regulation of tobacco based on the principle of harm reduction, but plain packaging is an extreme measure unproven to have any effect in reducing smoking”. It is here that the dynamics of the tobacco category come into play. How influential is packaging in the category? 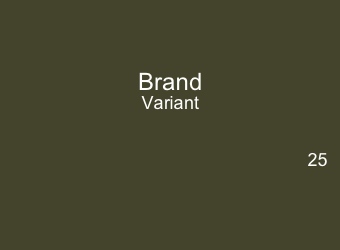 How important is branding and differentiation for tobacco products? Will plain packaging be friend or foe? For your average consumer product, packaging is vital, but tobacco is no normal product. For those hooked on nicotine, cigarettes are more akin to a need than a want. While continued patronage from addicts is somewhat guaranteed, a change that makes trial less attractive would be a serious blow to the industry. Investigations into the consumer behaviour behind smoking, however, suggest that plain packaging may not succeed in making trial less attractive at all. Evidence indicates that regulating packaging may have the reverse effect by enhancing the act’s image as underground or subversive, thus fuelling greater motivation for trial. In The Tipping Point, consumer behaviour theorist Malcolm Gladwell offers a number of insights into the psyche of the smoker. He makes reference to a Harvard University study that asked smokers to guess how many years of life smoking from the age of 21 would cost them. The average response was nine years, higher than the actual number of six to seven. Therefore, Gladwell notes, smokers aren’t smokers because they underestimate the risks of smoking. Gladwell goes on to say that many anti-smoking initiatives are unsuccessful because they target the contagiousness (the reasons people start smoking), not the stickiness (the reasons people continue smoking) of the epidemic. He believes that efforts to make smoking uncool or unappealing simply do not work, as it has never been smoking itself that was cool, but rather the rebelliousness or subversiveness of the influential peer. Restricting or legislating against smoking may only serve to make it more contagious, enhancing the image of the smoker that adolescents revere: rebellious, risk-taking and precocious. The power of the influencer may in fact be harder to undermine than the reason smoking is sticky: nicotine. And plain packaging, therefore, may only serve to immortalise the cigarette as an even greater symbol of those things adolescents aspire to. Renowned branding expert Martin Lindstrom agrees with Gladwell. In his research on smoking, he notes how the distinct, standardised health warnings act as logos that smokers associate with the pleasure or rush they get from a hit. The ‘Smoking Kills’ messages on cigarette packs actually have the opposite effect, according to Lindstrom, making people smoke more. He also believes that smokers bury their heads in the sand, rather than absorb the gruesome imagery used on packs and in advertising. They too become a logo for the nicotine craving, one that is delivered when our guard is down, having been lowered by the trust generally associated with government health warnings. On the other side of the coin, research by the British Heart Foundation has found that cigarette branding does in fact help to hook youngsters. Its recent study found that 87 percent of teenagers and young adults thought plain cigarette packs were less attractive than branded ones. One in six said they consider pack design when deciding which cigarettes to buy and one in eight admitted choosing a brand because it looked ‘cool’. Alarmingly, over a quarter of regular smokers judged one cigarette brand to be less harmful than another, purely on the basis of packaging. Research conducted by the Cancer Council of Victoria also found that the imagery on packets was a powerful tool. Market tests conducted found that such imagery can even influence a smoker’s taste ratings of the same cigarettes when packaged differently. The Council claims that tobacco companies employ pack design and colour to communicate the impression of lower tar or milder cigarettes, while preserving perceived taste and ‘satisfaction’. They also point out that tobacco companies carry out extensive research to ensure packaging appeals to selected target groups, including young adults and women. The study concluded that pack design is an important communication device for cigarette brands and an effective advertising medium. There is evidence to suggest that the impact of plain packaging on smoking rates could go either way. While the change may help create greater mystery and appeal for tobacco products, it impacts on the product’s ability to communicate and stand out. If plain packaging does arrive come December, a significant avenue for communication will be removed from tobacco’s repertoire. It will rob the companies of their chance to convey brand, features, benefits, selling points and other information. Differentiation would be difficult to achieve, with no means for communicating product attributes such as taste, tar levels, strength or satisfaction. The future of tobacco promotion would rest on the few remaining avenues that are yet to be regulated. These include custom events, internet-based marketing and corporate websites, advertising in international magazines, mobile phone promotions and product placement in movies. The industry would be forced to turn to its creative side, a trait for which it is already well-known. Lindstrom predicts that 95 percent of tobacco marketing budgets will go into leveraging the mystery and subversiveness plain packaging will afford. He believes generic pack designs will be “incredibly efficient” in elevating the cool factor associated with smoking. That which is banned is often what the young and rebellious are attracted to the most. In essence, what the Government is attempting to achieve by introducing generic packaging is an image overhaul, transforming the act of lighting up from cool to plain. Removing the logos, imagery, colours and promotional text from packs will restrict big tobacco’s ability to entice consumers. In all likelihood, this will impact on smoking’s appeal among certain audiences. But, in a fascinating twist, the regulation may also stimulate the very thing it seeks to destroy – the image of smoking as rebellious and cool. It’s possible that the legislation will have a reverse effect, fuelling smoking with a move chosen to help extinguish it. In a category where consumer behaviour is at its most complex, it’s possible the Government will glorify smoking with a strategy designed to make it plain. What would Martin Lindstrom do? Go straight to Hollywood and make it so unpopular for actors, who are heroes around the world, to smoke on the screen, that they will never ever touch a cigarette. If you take Leonardo DiCaprio as an example, he is almost smoking cigarettes in every movie he has produced… I’m not sure why he does it… but I don’t need to tell you that a lot of young girls still have him as a hero and, because of that, they are likely to follow him. You see that happening for a lot of actors, and my sense is that there is a lot of marketing exchange behind the scenes in Hollywood still between the tobacco industry and those actors in order to create heroes. So, I would stop that. I would create campaigns where it becomes unpopular; it almost becomes embarrassing to be a smoker. Where you go in and do jokes around smokers. Of course, that will offend existing smokers, but do you know what? I don’t care. Because, at the end of the day, we have a whole new generation [to consider]. So, I would go in and create a reverse peer pressure. Pack design: I’d make so random, it will change so much that there is no similarity whatsoever between the different packs. The only thing they will have in common is they’re called cigarettes. The pack will change, the colours will change, the shape will change, whatever… and, yes, it will be very difficult to execute, but at the end of the day, I would know that whenever you see this pack, there is no way your brain will link together a craving sensation whenever you see a pack, because it just can’t do it in such a short period of time. What would Malcolm Gladwell do? 1) Nicotine threshold: the problem is not that people trial smoking; it’s that they continue smoking. The experience is memorable and powerful and, for those who enjoy the nicotine hit, the habit sticks. Nicotine addiction is, however, far from an instant development – it takes years of regular smoking for someone to become addicted. Research has shown there is a threshold that must be crossed before one can become addicted – usually regular smoking for two to three years. If a common nicotine threshold can be established, regulations on the amount of nicotine in cigarettes could be introduced to ensure not even the heaviest smokers exceed the addiction tipping point. 2) The correlation between smoking and depression: depression is believed to be a result of a deficiency of serotonin, dopamine and other brain chemicals that regulate mood. Along with Prozac and Zoloft, nicotine produces these chemicals in the brain. Many are using tobacco, knowingly or unknowingly, as a way of treating their depression. This is stickiness with a vengeance: not only are they are addicted to nicotine, but without it they relapse into depression. Treating smokers in a similar way to treating depression may make their habit an awful lot easier to beat.